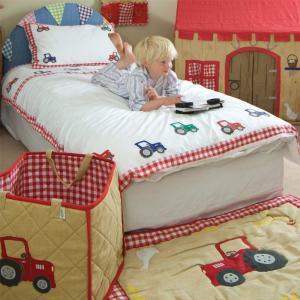 Our bean bag is appliqued and embroidered with a big red tractor. Red gingham trim and red sides. Scroll down for matching items.